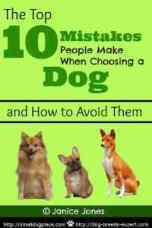 Small Breed Dogs have health and nutrition needs that set them apart from larger breed dogs. When choosing a small breed dog food, it is important to understand what nutritional needs your small dog has and then choose an appropriate dog food that is formulated to meet these needs. What factors should you consider when choosing a good food for a small dog? Small dogs are unique not only because of their size, but also because they have unique needs when it comes to dog food. Most people prefer the ease of serving dry kibble to their dogs but don’t know just how big the kibble pieces are when purchasing a bag of food. Many dog food manufacturers don’t provide this information. Small dogs have smaller mouths. 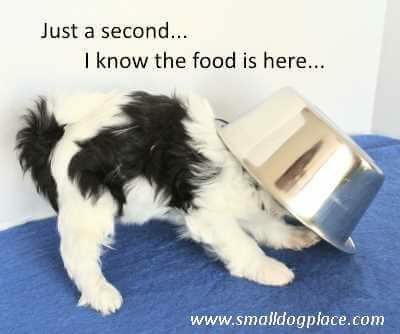 Trying to consume large pieces of dry kibble can be difficult for little dogs. If the dog is one of those brachycephalic breeds such as Pugs, Shih Tzu, or Japanese Chin, large pieces of kibble can potentially be a choking hazard. Some dogs, even little ones enjoy their food so much that they basically inhale it rather than chew. Large kibble stuck in a small esophagus can mean a quick trip to the emergency veterinarian. One way to avoid this is to soak the kibble in hot water and then mash with a potato masher. But who has time for this extra work. It’s much easier to find food that is formulated with small kibble bits that can be served directly from the bag. Another lesser known fact is small dogs need more protein and fat in their diets than a large or giant breed dog. A dog food that provides more protein and fat than the average food helps provide that additional dietary requirement. Now, you might be asking, why can’t I just throw in some leftover chicken fat or bite-size pieces of my hamburger? While it is true that adding table food can add additional protein and fat, it is not wise to do so on a routine basis. Good dog food manufacturers hire veterinarians and nutritionists to formulate just the right combinations of nutrients to deliver a complete and balanced food. Adding food here and there can throw that delicate balance off kilter. We all love to give treats to our dogs, but a steady diet of human leftovers is not enough for a tiny dog. We’ve all had one—the dog that likes his dinner one day and turns up his nose the next. Or, maybe you have one of those dogs that refuse to eat until you add additional flavoring to suit his finicky palate. It seems like the more you stress over his erratic eating habits, the worse he gets. You want to find food that is both nutritious and delicious to the dog. There are two ways you can accomplish this. First you can serve food that is highly palatable. Second, you can find food that is energy dense so that the small picky eater can get all their needed calories by eating smaller portions. Ideally, the dog food should be able to offer both options. There is no question that ingredients are one of the most important considerations when choosing a small breed dog food. Typically the more expensive the dog food, the higher quality the ingredients. The protein sources in dog food usually constitute the most expensive component and it should come from meat and not a plant source. There is an enormous difference between the cost of corn or wheat gluten (as a protein source) and say venison. Speaking of venison, most dog foods use ingredients such as chicken, beef, lamb or fish. If a dog is having any issues with allergies (which is very common in small breed dogs), a novel protein source such as venison is the perfect solution. Additionally, venison is a lean protein source that is highly digestible and heart-healthy. 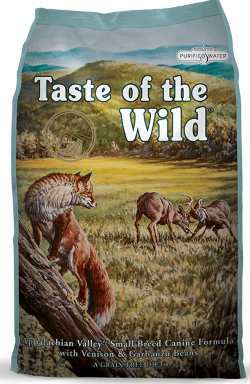 Taste of the Wild’s New Appalachian Valley™ formula uses venison as the first ingredient. And, incidentally, if you are looking for a grain-free formula, all of the Taste of the Wild formulas are grain-free. Some people never bother to look at prices when purchasing food for their dog. For the rest of us, price does matter. It is important to get the best quality food you can afford. Cheap dog food might seem like a sensible option for a frugal family, but what you don’t spend in dog food will go to cover additional vet bills. Yet, the food you serve your dog should not cost more than what you serve yourself. A high quality food at an affordable price is my idea of perfection! There are many brands of dog food on the market today—some are excellent, some average, and some are downright dangerous to your dog’s health. One of the biggest challenges of being a good doggie mama or papa is finding the right dog food. You want one that will provide the correct balance for optimal health, taste wonderful to the discriminating canine, and one that will comfortably fit within your budget. It’s called Appalachian Valley™, a small dog food formula made by the folks at Taste of the Wild. 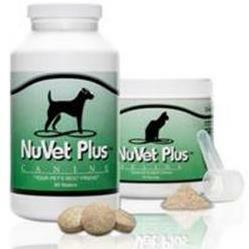 They cater to the needs of all dogs, but this formula is made especially for small dogs. It even has small size kibble that is easy for the dog to chew and digest. Their formula provides a higher protein and fat ratio to meet the additional needs for an energy-dense food that is so important for small dogs. This is especially important for finicky eaters because they can eat smaller portions and still meet all their nutritional needs. All of the products made by Taste of the Wild are grain-free and venison is the first protein source in their Appalachian Valley™ formula. Venison is a novel protein for most dogs which makes it an ideal choice for dogs with allergies. Many people are switching to grain-free dog foods these days and are noticing improved health in their small dogs. For the finicky eater, The Appalachian Valley™ formula includes ingredients such as meat, garbanzo beans, and peas to create a delicious tasting meal. I’m guessing this is going to be quite a hit with small dog owners and a tasty change for those canines with the most discriminating taste buds. I was informed that the product has been shipped out and should be available in a store near you. Has your dog tried the Taste of the Wild, Appalachian Valley™ formula? Tell us what you think. Leave a comment below.